Gene editing kits are creating a new biosecurity and public health risk for New Zealand that needs to be addressed. 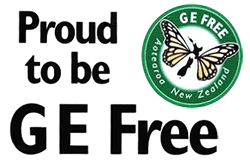 GE Free NZ is calling for the government to introduce controls on the importation of gene editing kits. The New York Times made an investigation that found young adults are buying online gene editing kits to 'play around with genetic engineering at home'. To protect New Zealanders from the cavalier use and creation of potentially dangerous home made gene edited bio viruses, MPI must ensure strict border controls. Mandatory declaration and other measures are needed to restrict the spread of gene kits. The EPA ignored its own staff, and The Sustainability Council challenged the Authority's interpretation of the HSNO Act. The court ruled the new technologies using laboratory manipulation of DNA that had developed after 1996, have to be regulated. New Zealand now has the most advanced legislation regarding the new gene editing technologies that would be a good model for Australia in respect to trade issues and safety.